Focusing on risk management and protection against market downturns can result in some market underperformance, especially when the market remains elevated for an unusually long period of time. 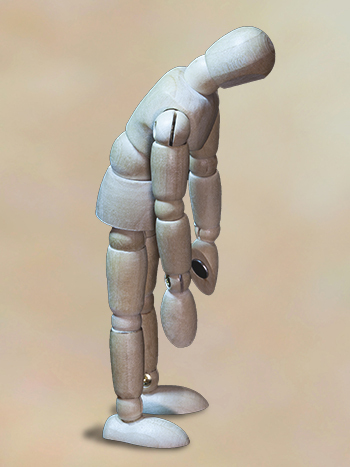 How do advisors cope with clients who lose confidence in investment strategies that underperform the indexes? The absolute nadir of the 2008–2009 market correction occurred on March 9, 2009. From that date to March 9, 2017, the market capitalization of the S&P 500 increased nearly 250%. Using this period from the absolute lows on an arithmetic basis equates to an average annual return, excluding dividends, of more than 31%. However, from March 9, 2000, through March 9, 2017, the market capitalization of the S&P 500 increased about 55%. This works out to an average annualized return of slightly more than 3%. But more importantly for investors, because of drawdowns experienced after the tech bubble burst and the subsequent housing/credit crisis, it took 13 years just to restore the previous market high-water mark from the early 2000s. People talk about lost decades. This was a lost 1 1/3 decades. What important points can be ascertained about the 250% market surge over the last eight years, particularly when compared to other time periods? First, pendulums tend to swing too far in one direction and then too far in the reverse. Corrections often result in markets becoming priced far below their intrinsic values. Similarly, strong sentiment and euphoria often escalate prices way beyond fair value. In early 2009, there was real fear about the collapse of the world’s financial system and the advent of a great depression. Fear and greed cause people to act irrationally. Such emotion can result in corrections becoming so extreme that they are bound to bounce back to some degree as a reversion to the mean. This, of course, partially explains the trajectory off the March 2009 lows. Another major contributor to the market surge was the enactment of unorthodox and experimental monetary policies by global central banks to combat the lasting effects of the financial crisis via asset purchases intended to stimulate national economies. One of these policies is quantitative easing (QE), where a central bank purchases government securities or other securities from the market to lower interest rates and increase the money supply. In short, through the process of quantitative easing, the national debt doubled while the Federal Reserve printed money to purchase bonds and mortgages from banks, resulting in the lowest interest rates in recorded history and the quadrupling of the Fed’s balance sheet. 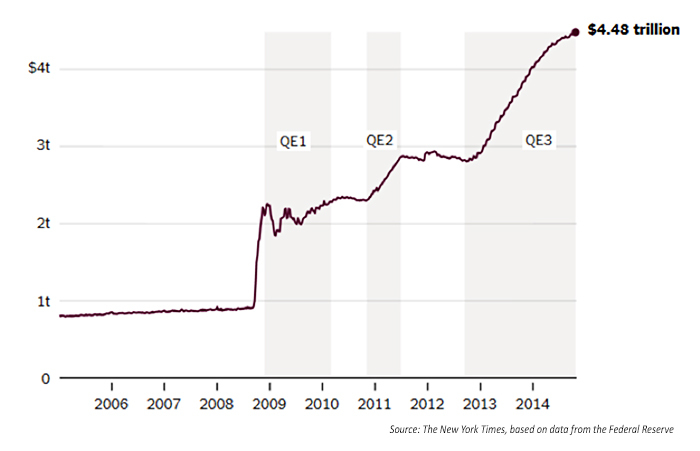 There were three rounds of quantitative easing, and the third round ended in 2014. Notwithstanding the aggressive quantitative easing policies, this period still goes down as the slowest post-recession recovery since World War II. What is perhaps even more interesting, and less understood, is that from the end of 2014 (after the end of quantitative easing) until just before the U.S. presidential election, the market essentially went nowhere. From early November 2014 through early November 2016, the market capitalization of the S&P 500 was basically at the same level. Then, Donald Trump unexpectedly won the U.S. presidential election, and what was supposed to have caused a market meltdown resulted in an astonishing melt-up. Because the melt-up occurred in the eighth year following the meltdown, and because no significant correction has occurred over the last eight years, the post-election melt-up has given clients the impression that the stock market is invincible. Before the election, many clients I work with did not believe that the bull market was real. They wanted to be defensively allocated to protect against what they perceived was the looming next correction. With the market surge following the election, these clients’ conservative attitudes toward asset allocation quickly morphed into FOMO (fear of missing out). They were no longer comfortable with reasonable risk-adjusted returns. They wanted all of the upside, and they dismissed any inherent risks. In my nearly 30 years in the industry, I may never have experienced as many “redemptions” as I did when the market peaked at the end of February 2017. I know that I am not alone. Jeremy Grantham, the iconic value investor who correctly foresaw the stock bubbles of 2000 and 2008 (and helped protect his clients from those losses), recently saw $44 billion being redeemed from funds that he and his firm manage. That is mind-boggling. A living legend who consistently earned money for clients over four decades, in both bull and bear markets, Grantham saw more than a third of his assets under management disappear in short order … simply because he underperformed some benchmark over some arbitrary time frame. As a financial and investment advisor primarily serving relatively mainstream clients, not ultra-high-net-worth individuals, some might think it unusual to compare my practice to that of a hedge fund manager. But we do have some things in common: a dedication to risk management, a wide universe of investment vehicles for clients (including alternatives), the use of actively managed strategies, and the desire to help clients both grow and protect their assets. As investment advisors, we all know about the power of fear and greed. The mid-to-late 1990s were guided by greed. When that greed partially accounted for the dot-com crash, the baton was passed to fear as the navigator for investment portfolios. Because there were two major market corrections within such a short span of time, greed didn’t really resurface again until around 2013, when the market surged—up 32% on the year—due to that third round of quantitative easing. Overall growth in the economy, wages, and inflation have all been relatively muted for years, despite the market’s performance since the worst of the credit crisis. 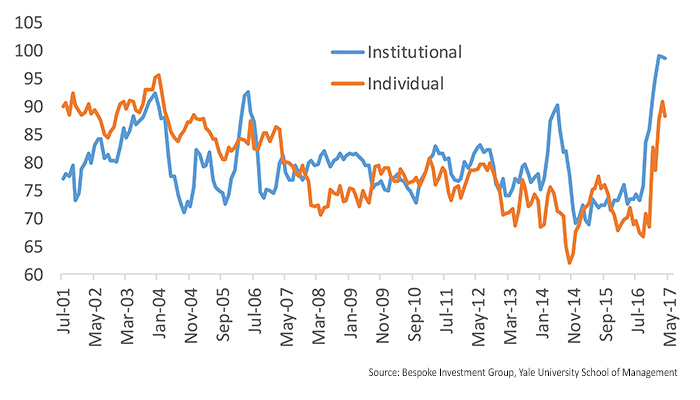 Last year, there was a growing belief among some market observers and analysts that the market had become disassociated from economic fundamentals. Consequently, there was a great deal of pre-election concern in 2016 that if the economy didn’t pick up, market prices would fall. For obvious, though questionable, reasons, this concern and caution ended after the election. It was as if a switch were pulled. Like him or not, President Trump is an exceptional salesman. He told investors he was going to make America great again. He promised investors huge tax savings. And he assured investors that he would be “builder-in-chief” to oversee infrastructure that would rival the Eisenhower era. Hope and sentiment were propelled to new highs (see Figure 3), and the market has had an incredible post-election surge. The all-important question is, does this end well? When sentiment soars, everyone starts reading from the same script (explained in behavioral science as “recency bias,” where investors believe recent trends will continue unabated, and “herding,” where many investors have a tendency to follow the crowd). Euphoria replaces caution and fear. And, typically, market tops form. This is especially true when sentiment is driven by hopes and expectations that are delayed or fail to be delivered. The impressive post-election melt-up might very quickly lead to a meltdown if the real economy does not show more signs of marked improvement. While this administration has apparently given businesses and consumers a newfound belief in growth prospects for the U.S. economy, it cannot forever prevent the historic inevitability of business cycles and recessions. 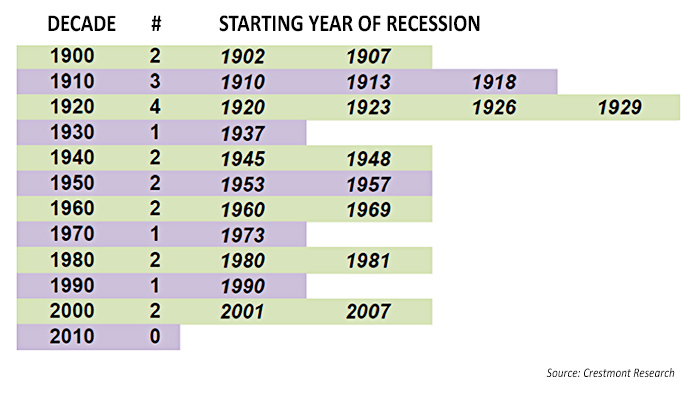 Since 1860, every decade has experienced at least one recession. Some decades have spent 40% of the time in recession. Because a recession has been avoided for so long, it’s as if many investors now believe that they are extinct. How should advisors be counseling their clients? We know the business cycle will turn, recession will come, and markets will correct. It is just a question of when and how severe the downturn will be. The levitation of the markets for so long has raised some challenging issues for advisors who take risk management very seriously. My practice has been dedicated to helping my clients navigate markets of all kinds. By definition, this might mean not catching all of a bull market’s gains. But it does mean that risk-managed strategies have a strong objective of significantly mitigating risk during bear markets. This can result in significantly better returns during market downturns, such as that seen in 2008–2009. By contrast, investors seem less understanding of their advisors “failure” to help them participate significantly enough in periods of market melt-ups. The fear of missing out is like a drug. It is just too enticing for rational thinking. When the emotion of fear and pain from previous market meltdowns are far distant memories, greed takes hold, and some of our “good” and loyal clients will seek redemptions, irrespective of wise counsel. As active investment advisors, we know that an adequate defense generally has more impact in the long term than simply being allocated to potentially capture all of the upside. (In fact, those two objectives are incompatible). We tactically allocate in response to risks and opportunities perceived in real time. We know about diversification and correlations and risk-adjusted returns, and we work hard to explain their importance in a down-to-earth, easily relatable manner. This is clearly a case of managing client expectations, as hard as that can be at times. This means continually reinforcing to clients the message of risk management, making sure portfolios are properly aligned with client goals, time horizons, and risk profiles, and ongoing review of investment strategies with clients. Clients need to repetitively hear the investment philosophy driving their investment plan. They need to understand fully, for example, that a passive benchmark that can achieve a 30%-plus annual gain is also susceptible to drawdowns of more than 50%. As a fiduciary, I am held to a standard whereby I step into the client’s shoes and allocate in a way I perceive to be most prudent and responsible for that specific individual—and in line with their objectives and appetite for risk. Clients tell us that they want us to treat them this way, but for some, their actions speak a completely different message—they seem to forget that the potential of higher rewards comes with higher risk. The power of certain behavioral tendencies when it comes to fear and greed are difficult to overcome. As trusted advisors, we have to be true to our investment philosophy, the research and indicators we believe in, and time-tested active investment methodologies and strategies. However, we also need to be realists. We can do all of these things and still lose clients in a market melt-up if recommended strategies are more absolute-return oriented. We have to simply accept the fact that some clients may want to move on. Unfortunately, it is not unusual for some clients to have different perceptions of their risk tolerance during a bull market than in the days following a significant market correction and a large drawdown for their portfolio. We have to reconcile that our value-add as active investment advisors is best expressed when we help protect our clients from recurring and inevitable meltdowns. This risk management, combined with reasonable returns during bull markets, should work in the client’s favor over the long haul and during various market cycles. If clients lose confidence in their investment strategy, we need to reinforce the sound rationale behind it. As we place a high value on enduring and long-lasting client relationships, this investment philosophy should pay off in long-term risk-adjusted portfolio performance for clients, as well as their satisfaction with the services and investment approach that our firm provides. Gregory Gann is a registered representative with and offers securities and advisory services through LPL Financial, a registered investment advisor. Member FINRA/SIPC. 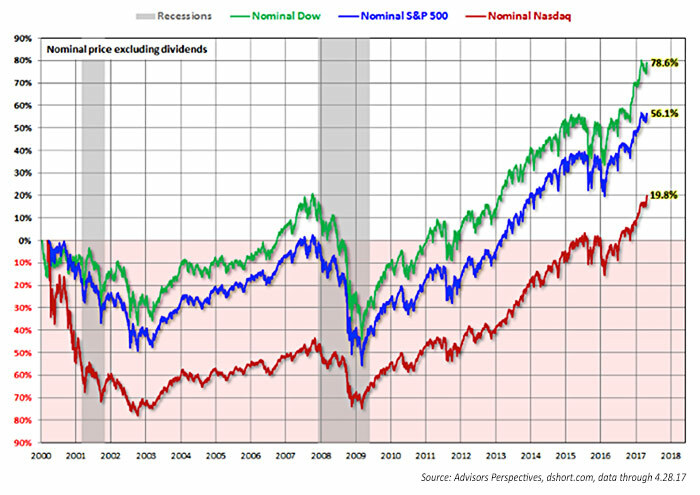 All indices are unmanaged and may not be invested into directly. Tactical allocation may involve more frequent buying and selling of assets and will tend to generate higher transaction cost. Investors should consider the tax consequences of moving positions more frequently. The opinions expressed in this article are those of the author and do not necessarily represent the views of Proactive Advisor Magazine or LPL Financial. This material is for general information only and is not intended to provide speciﬁc advice or recommendations for any individual. The economic forecasts set forth in this material may not develop as predicted.